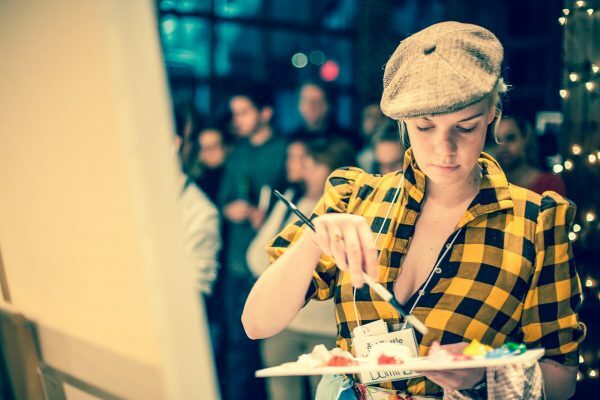 Art Battle Live Art Experiences create memories and impact for groups of 10 to 10,000. Champion-level Art Battle artists share their skill in competition and interactive experience! Our local teams work with Champion artists in 🇺🇸New York, San Fransisco, Los Angeles, Dallas, Las Vegas, 🇨🇦Toronto, Vancouver, 🇬🇧Bristol, London, 🇳🇱Amsterdam, 🇨🇳Beijing, 🇯🇵Tokyo, and 🇦🇺Sydney.